Next, let us move on to grace. Another problem with people’s logic about salvation is that they think that we have free will. I will discuss predestination in detail another time, but for now I will just focus on how it relates to salvation. If we think there is free will, then that means we have a free choice to be saved and follow God. However, the problem with that theory is it puts a cap or limit on God’s power. God already knows if you are going to follow Him before you decide to do it. People think that choosing God is like voting for a leader in government. If fact, it the complete opposite. God is already the leader, you just don’t realize it. Salvation is admitting that God has been the leader for all eternity. These verses talk about the grace of God. 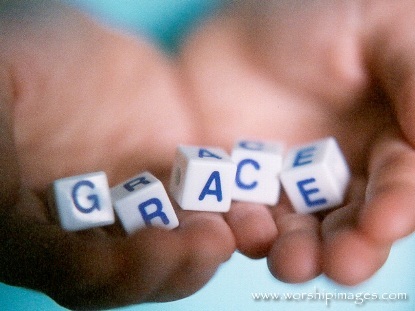 It is by God’s grace and kindness that He makes salivation available to us. Salvation is not a free choice, but a submission of the truth. Simply put, these verses state that if we have faith that Jesus Christ is God, creator and ruler of all things, we will be saved from the lake of fire. This means that you love God, and have the INTENTION of obeying God 100% of the time. Intention is different from actually accomplishing this. God knows that you are sinful, and that you will continue to disobey him, but it is the INTENTION that God wants. I know this is a hard concept for people to understand, so let me use a few analogies. For example, if someone has an addiction (drugs, alcohol, etc. ), the first step to recovery is ADMITING that he or she has a problem. It is the same way with God. If you admit you are sinful and there is a problem, God can then step in to help you become less sinful and help you with your problem. Removing sin and becoming a better person is a big part of salvation.